Bubble Tea, a full service restaurant serving delectable food treats and flavorful milk tea has opened its doors to the East side of the Metro, right smack in the middle of the action. Tomas Morato. I love how the place looks, it is very refreshing to the senses. 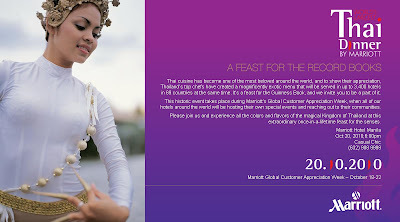 Hmmmm, I can't wait to have a taste of their sumptuous food extravaganza. Next on the line up, we were bombarded. Yes, we were ambushed by these oh so great Maki-Sushi, I am still in a state of bliss after taking in bits and bits, then chunks and chunks, until all were gone. These 3 were my favorite amongst the 18 kinds of Maki-Sushi they have on the Menu. Oh yes I want more! But wait here's more for the palate. Tofu Steak, cooked and sauced just the way I like it. soft and easy to chew, love it!! After your meal, wouldn't it be good to settle down and have a taste of their delicious pastries freshly made and made on their own, coupled with milk shakes with pearl. 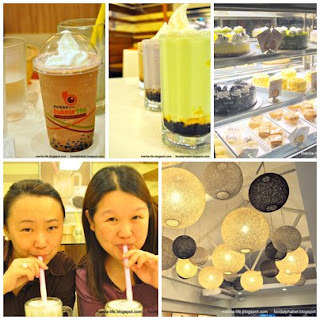 My favorites the Royal Milk Tea with bubbles and egg pudding. And the Oreo Cheesecake tastes so heavenly. All I can say is, don't take my word for it. You just have to taste to find out for yourselves how good it really is. My wife and friends agree, taste it to believe. To know more about Bubble Tea's promos and other offers, Please visit their FACEBOOK PAGE and sign up. 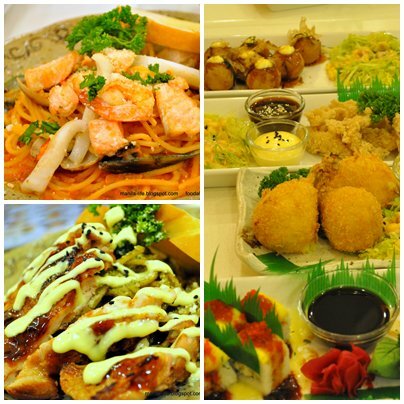 There are so many kinds of foods to choose from, but all will please your taste buds. Enjoy!!! and Great news they will soon open their 4th branch at Unit #3, 229 Wilson St. West Greenhills, San Juan, can't wait for the opening of this fabulous Japanese fushion comfort food chain. 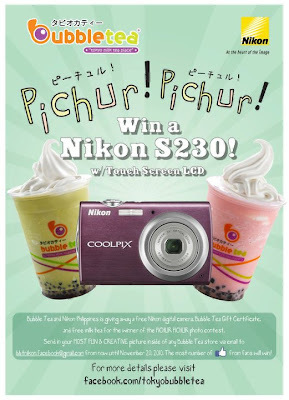 Now Bubble Tea would like to thank their fans and loyal customers for supporting Bubble Tea for the past few years, and would like to give their customers the chance to win a Nikon S230 with their Pichur Pichur photo contest. Click on the poster to join the promo and for complete mechanics!! A group of bloggers were invited to the launch of WaterPlus Reduce at Lu Restaurant at Rockwell, Makati. A few food bloggers and quite a number of sports / running bloggers were there in attendance, I was so amazed at these running bloggers as most of them have accomplish what I could only see myself doing in my dreams that is climbing mountains, running 42K marathons, hiking treks... you name it they have done it. I envy them for they keep themselves lean and healthy, hope someday I would have accomplished at least 1/4th of their accomplisements. 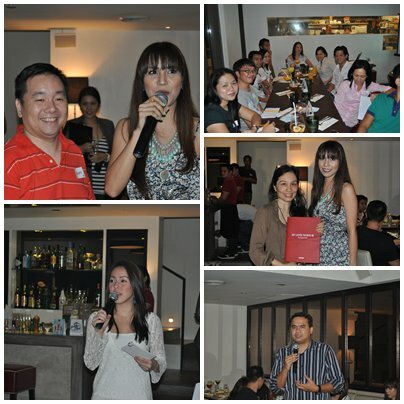 Co-hosted by the lovely Andi Manzano who also incidentally is the model for Water Plus Reduce. I was really glad Andi Manzano is the model for Water Plus, she is really something, having a healthy lifestyle, keeping fit and yes, always an eye-candy. Well, admittedly I am a food addict, I eat and eat without remorse and not thinking of the calories I pack in, not even considering that my blood cholesterol levels are red lining. That night made me think, as we were being introduced to Water Plus Reduce, maybe it's time to change. WaterPlus Reduce is a new revolutionary weightloss water product packed with 300mg L-Carnitine and 2 grams of Fibersol. L-Carnitine is an amino acid that helps increase fat-burning properties in the body while Fibersol is a water soluble fiber that help maintain a healthy digestive track. WaterPlus Reduce is a revolutionary weight loss water product packed with 300mg L-Carnitine and 2 grams of Fibersol. L-Carnitine is an amino acid that helps increase fat-burning properties in the body while Fibersol is a water soluble fiber that help maintain a healthy digestive track. 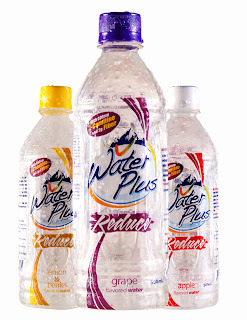 What’s good about WaterPlus is its near water formulation. Like water, it is light and refreshing, no heavy flavors, just a hint of your favorite fruits. 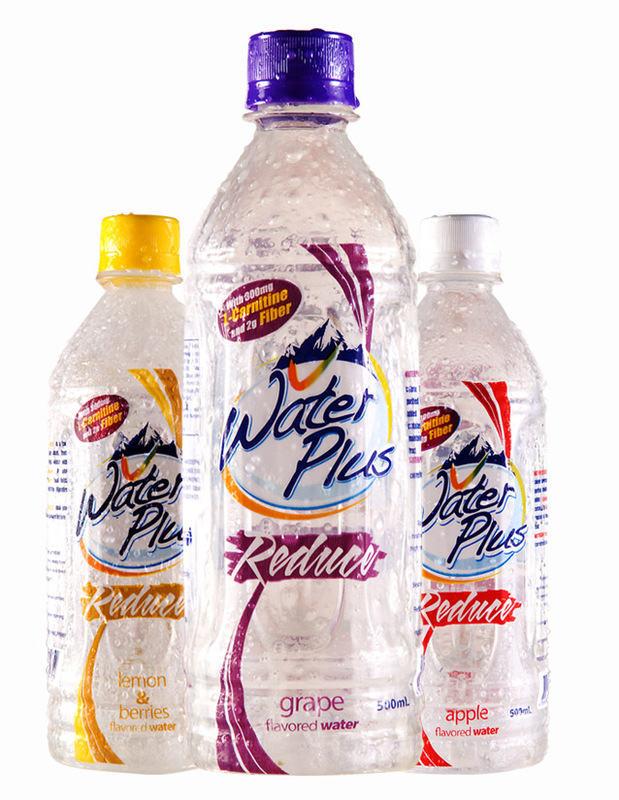 Choose from either grape, apple, or lemon & berries WaterPlus Reduce variant. Unlike other weight loss drinks, it has zero sugar and zero calories which enables you to burn more fats without adding extra pounds. For people trying to maintain or loose weight, it is highly recommended that they pair their meal with a bottle of WaterPlus Reduce. The added L-carnitine in WaterPlus Reduce will help them burn calories faster thus minimizing unwanted calories that turn into fats. As they say keeping a healthy body is not done through proper diet alone, excercise is still a must. 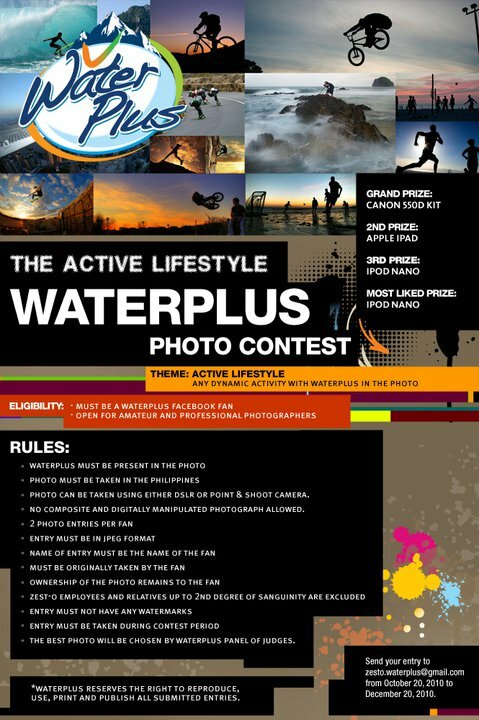 WaterPlus Reduce enables health buffs to maximize the effects of their workout. The L-carnitine in WaterPlus increases the amount of calories burned per minute compared to rehydrating with just plain water. The fibersol on the other hand helps flush out lactic acid produced during exercise. With WaterPlus keeping you healthy and fit has never been this easy. Whether you’re feasting or mountain climbing, make WaterPlus your adventure partner to a healthy lifestyle! 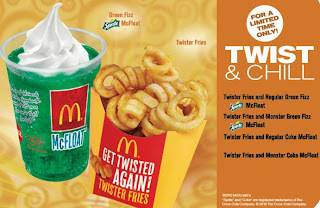 So get your fill at McDonald’s while you can, because Twister Fries is here for a limited time only! Fancy a box or two or three? Go for it. There are no more minimum orders at McDelivery. Just a fixed delivery charge of P40 and you’re all set. 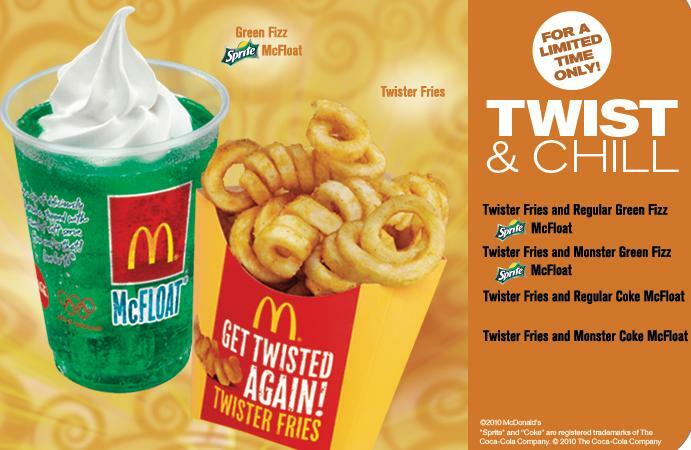 Show how much you love McDonald's Twister Fries, like their Facebook Page to be updated on the latest promos, discounts and special offers!! Just add P18.00 to upgrade your medium fries. KFC is famous for its great tasting chicken and finger-lickin' good moments. Building on everyone's favorite chicken, KFC came out with a bold and unexpected chicken bursting with flavor. 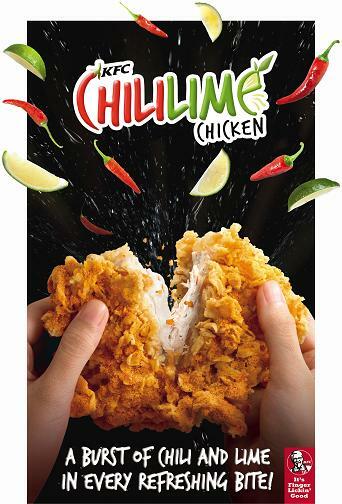 KFC combined two familiar flavors, chili and lime, for an unlikely combination that just tastes so good, and yes it is very addicting. 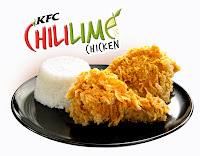 The Chili Lime chicken is marinated in special Chili Lime spices, then breaded and deep-fried for a crispy bite, and finally sprinkled with another dose of Chili Lime flavor. It's a fusion of spicy and zesty flavors in one refreshing bite. KFC invited all loyal KFC FACEBOOK FANS and media people with bloggers to a big launch held at the Blue Leaf Events Pavillion in McKinley Hill Village, Taguig. Hosted by Chico and Delamar of RX 93.1. With fun games, free treats for everyone. It is definitely one memorable day. The KFC ChiliLime chicken will be available in stores starting October 13, but for a limited time only. So hurry now to your favorite KFC store and taste the wonderful flavor of Chili and Lime fused in one flavorful chicken. And watch out for TV commercial also on October 13. It is one heck of a commercial..... It's Chili.... It's Lime... It's Chili..... It's Lime!!!! You really have to taste it to find out. First bite at the crispy skin, you taste the spicy, then the lime kicks in... it will have an unfamiliar taste but after you finish a chunk, I guarantee you will want one more... with or without gravy it still tastes fabulous. I personally finished 3 pcs., oooopppsss!!! burp!! 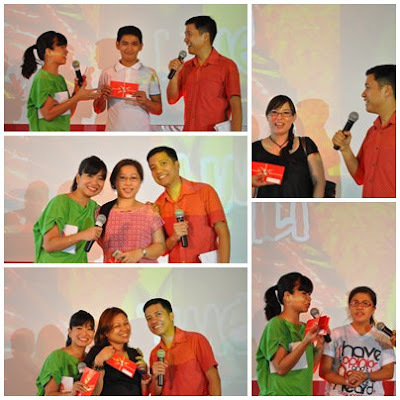 For more information, please visit the KFC Philippines fanpage on www.facebook.com or visit their website at www.kfc.ph. Newport City, Pasay is the next happening place in the Metro, with the NAIA 3 just at the opposite side. 2 new hotels in our midst, a world class casino. Resorts World Manila is the place to be. With so many things happening you would wonder, do the people here ever sleep? Such is the fascination of this wonderful part of the Metro, I am starting to think of relocating here... seriously. Now one thing that is really making me want to live here is this.....GINZADON. 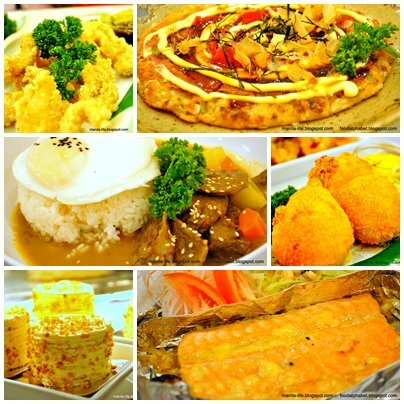 Situated on the second floor of Maxims Hotel, Ginzadon is mix of authentic Japanese cuisine and a wide array of Korean specialties. Crave Sushi? missed Kim Chi, then this is the place where you should be. Ebi Tempura - I loved this so much!!! 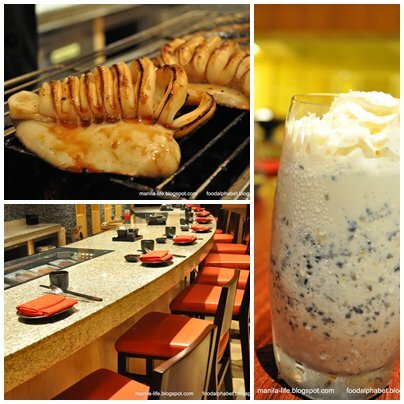 It does not miss out on the ambiance, you would feel you're in some fancy restaurant in Japan. Overall it was one of the best Japanese and Korean meals put together, they definitely blend well, there is still an awful lot of dishes I have to taste here. Would I go back here, definitely. Thank you Resorts World for the wonderful dinner. There was a new buzz in the Chinese community here about some new restaurant that opened recently in Greenhills at V-Mall (formerly VirraMall). It was quite intriguing, and news broke out that it was having long lines before you could have a seat at the establishment. Thus, I went to find out what was causing this commotion. Alas, it was Crystal Jade La Mian Xiao Long Bao. Believe me when I say, you have to be early to come here to reserve on weekends as the lines can become very long. We came at around 5:45 PM, and waited for almost an hour before we got in. Crystal Jade has branches all over Asia, more prominent in Hong Kong , Singapore and China. 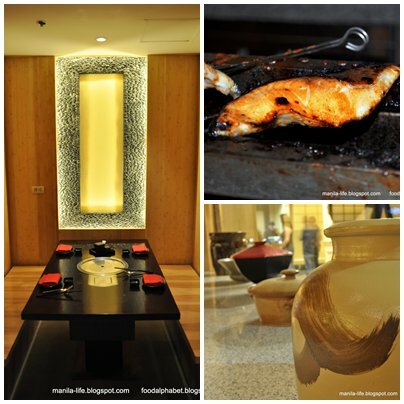 It has build up its name as one of the best restaurants in Asia, garnering numerous awards that has made it a household name in several Asian countries. They flew in chefs to maintain quality assureness as they provide in the other Asian countries, here you can see them making their famous Xiao Long Bao, they make them fresh. It's amazing how fast they can make this... and so perfect! option for a bigger size. Nothing out of the ordinary. Steamed Xiao Long Bao - P 158/ 5 pcs. spoon and chopsticks for these, or you will spill the juice. and just right to the bite, I would definitely order this again. and for desert Radish Pastry - P 98.00/ 3 pcs. Overall, my experience there was very fulfilling though you must expect since this is still a new establishment, and people are curious, there will be long lines, unless you were the first customer. I feel that the prices of the food here is a little on the expensive side. Almost all servings are only good for 2, so you have to order additional orders, that is why it can be a little pricey. So if you want to try the best of Asia without taking a ride to HK, this is the next best thing. Would I dine here again? Maybe, if the lines are not long anymore. **tip: dine in during weekdays, and best is that you can reserve a table for a group of 8 and up from Mon - Thurs, during weekends though you would have to reserve in person. They closed at around 9PM, kinda early for me. So when they reach a certain no. of waiting guests they won't accept you anymore.